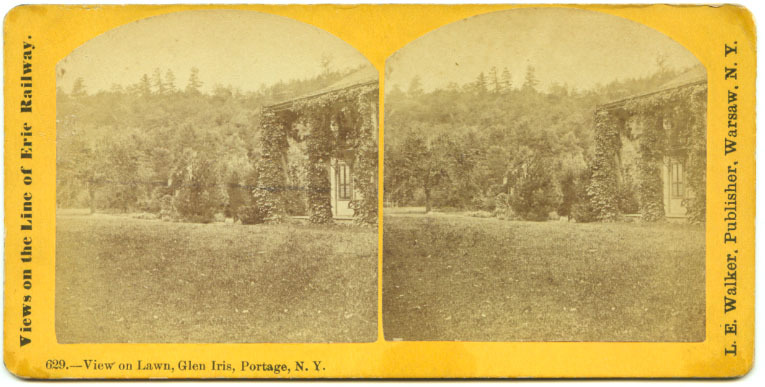 "629.-View on Lawn, Glen Iris, Portage, N.Y."
L.E. 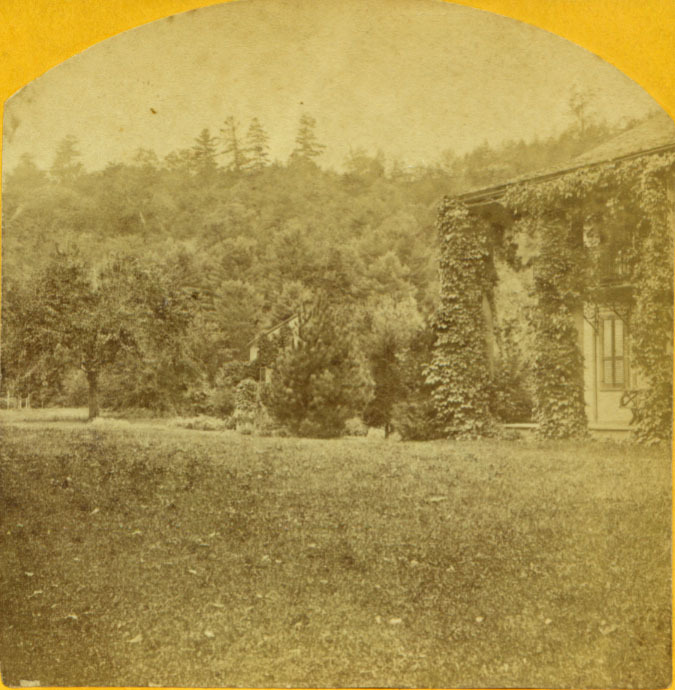 Walker, Publisher, Warsaw, N.Y.
"The corner of the building that is visible (in the background) is the "garden house" that is shown on Webster's 1861 landscape plan. We searched hard to discover this as part of the landscape research that we did back in 1998 or so. The Swiss Cottage was located on the flat land below near the river; they were not built until the 1870s. The image that you have is one of the earlier ones showing Glen Iris before he greatly improved it in the 1870s and 1880s. In later views of the west lawn can be seen his barns and outbuildings. Also note that in this photo the large garden hedge is till hardly visible and that numerous fruit trees from the old orchards are still there...."
See a larger version of the image below. For more information about the Cottages, see Image 83. Thanks, as always, to Ted Barlett for his valuable help and support!